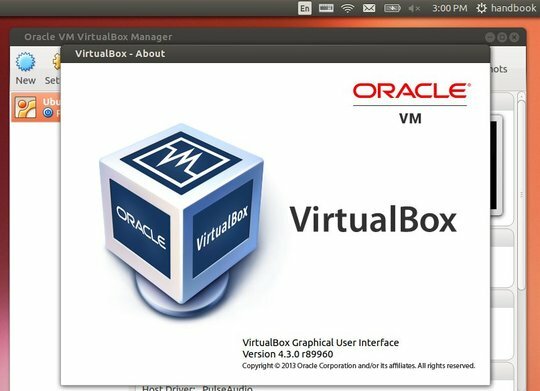 Oracle VM Virtualbox 4.3.0 has been released. In this tutorial I’ll show you what’s new and how to install / upgrade Virtualbox 4.3 in Ubuntu 13.10, Ubuntu 13.04, Ubuntu 12.10, Ubuntu 12.04, Linux Mint and Elementary OS. DEBs for Ubuntu Linux and its derivatives is available at this page. I’ve installed the 64-bit deb for Raring on Ubuntu Saucy, and it works great! Saucy release not found when I added and then updated..
At the moment, Virtualbox repository is not available for Ubuntu 13.10 Saucy. (As I said in post) Use the Deb for Ubuntu 13.04, it works great for me! Doesn’t work in ubuntu 13.10…. Oracle now provides the same DEBs installer for Raring and Saucy in virtualbox official download page, which means Raring repository for virtualbox also works in Saucy. 1. open up file browser and navigate to Computer (or System)-> etc -> apt. All source and repositories are added in sources.list file (or files under sources.list.d/ folder). If previous lines does not help, please download the DEBs (for raring) from the second link in the article. Wow, this really worked. Thank you very much for your help. When the file opens, edit the line and save it.